It goes without saying that completing Ring O' Fire is an outstanding achievement. A BIG thank you to all runners, marshals, friends, family and supporters. You all made 2017 a superb race weekend to remember. We had 103 runners make the start line for the 2017 Ring O' Fire. Of those 103 who stepped up to the challenge, only 51 of the toughest men and women made the finishing line. 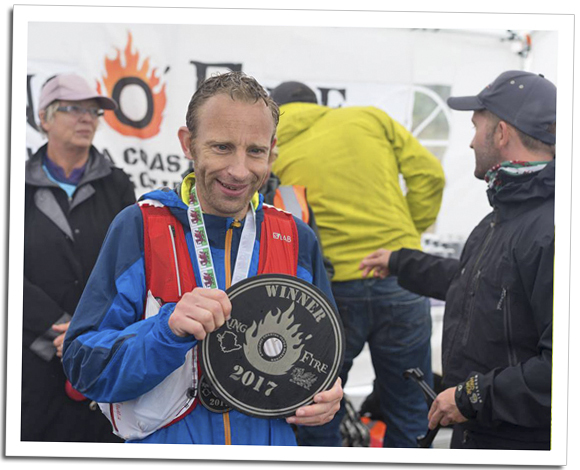 The numbers speak for themselves and Ring O' Fire has continued to live up to its reputation as one tough, but very beautiful race! Hope to see you back for another lap of the Isle of Anglesey! Click here to download a full list of starters and more detailed result data. "All in all, I wake up this morning nursing some very sore feet and heavy legs but feel amazing, I am definitely in for next years race. I am sure this will become one of our nations greatest races very soon. I sincerely hope you manage to keep its rawness when that happens."